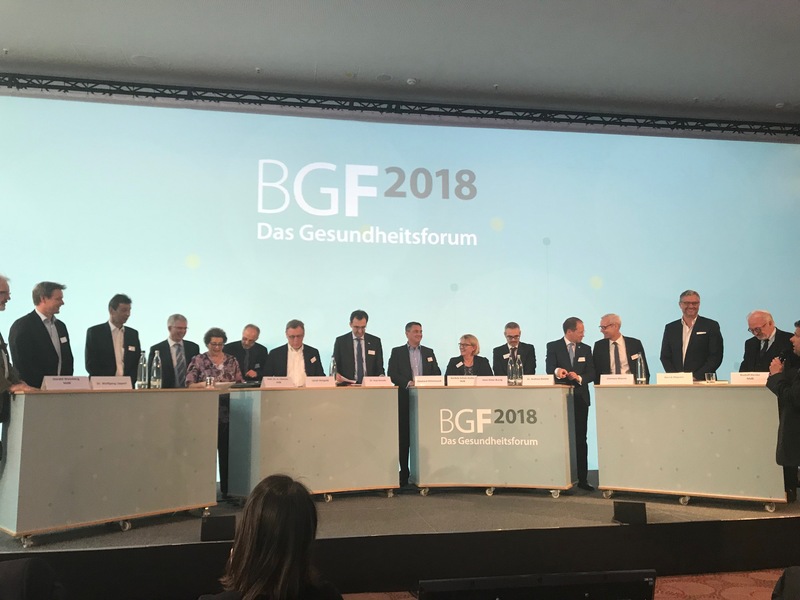 For the 16th time, Prof. Andreas H. Grün invited numerous decision-makers and experts from the healthcare policy and business sectors to attend the annual health forum in Munich. The diversity of the planned lectures and roundtables promised to provide a lively exchange of ideas across sectors on the various challenges currently facing the healthcare industry, as well as to bring up familiar points of friction between the healthcare sectors. The event started on Friday, April 27, with a first roundtable entitled “Gesundheitspolitik – Koalitionsvertrag, Chancen und Herausforderungen” (Healthcare Policy – Coalition Agreement, Opportunities, and Challenges). The fact that it took the current German government longer than usual to form a coalition was both a blessing and a curse for the two-day event. On the one hand, Prof. Grün could only guess at potential political appointees while planning the forum, but on the other hand, the participants got to experience political developments in real time. Two topics, “Points of interface between outpatient and inpatient care structures” and “Distributive justice in morbidity-oriented risk structure compensation,” have been a matter of heated debate for a few years now, and they also sparked fascinating discussions between the panelists at the Health Forum. 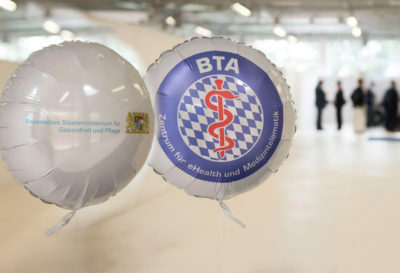 In regard to the first topic, President of the Bremen Medical Association Dr. Heidrun Gitter called for greater “treatment continuity” when a patient is transferred between sectors. 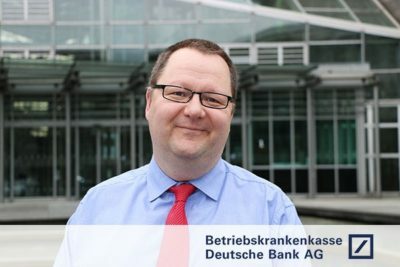 Chairwoman of the Verband der Ersatzkassen e. V. Ulrike Elsner criticized individual mechanisms of morbidity-oriented risk structure compensation that would give financial preference to local health insurance funds (AOKs). A representative of AOK Nordost in the audience countered by arguing that individual funds within the different types of statutory health insurance organizations were in very different financial situations, so it would be illogical to make generalizations about any given type of statutory health insurance fund. In the area of care management, the Chairwoman of the German Association for Psychiatry, Psychotherapy and Psychosomatics (DGPPN) Dr. Iris Hauth highlighted the lack of time psychiatrists have for their patients by presenting a vivid example – a psychiatrist who had, on average, just 45 minutes of time for conversation per patient per quarter. Against this backdrop, Dr. Hauth made the case for digital applications that could help patients reach their treatment goals in the time between appointments – an approach that the DITG has been successfully pursuing since 2013, with its lifestyle intervention program TeLiPro for the treatment of chronically ill patients. The roundtable featuring renowned expert in the field Dr. Rainer Hess focused on the issue of how to shape the future of medicine without the constraints of sectors (and with the support of digitization); Dr. Hess spoke in favor of the consistent use of disease management programs for chronically ill patients. CEO of the DITG Bernd Altpeter was involved in the discussion as an expert; he pointed out that pure digital engagement only demonstrates limited effectiveness in this context, and that supplementing it with digital initiatives such as telephone coaching is absolutely necessary to ensure the success of cross-sector care programs. Mr. Altpeter later took the podium to present the DITG’s study results that had been published in the journal Diabetes Care. The results indicated that TeLiPro demonstrated a significant level of effectiveness – it combines the use of an online portal with telemedical coaching and wearables for chronically ill patients. One question that recurred as a common theme throughout the entire event was exactly how holistic such approaches should be. In terms of digitization in particular, the usefulness of isolated applications for patient care was repeatedly called into question. After the numerous roundtables and lectures, however, it became clear that there is no hard-and-fast definition of the term “isolated application,” and making sweeping generalizations about any applications that might be defined as such would be unreasonable. Implementing local initiatives, for example, may be a good idea if doing so benefits both patients and the market, but not every initiative should aim to roll out to the entire market. Ultimately, disease management programs are, by their very nature, isolated applications. The competitive incentives provided by lawmakers are often used successfully. Initiatives with proven effectiveness, a convincing cost-benefit ratio, and a holistic, market-oriented approach could be excellent candidates for integration into standard care – but this should always be made on a case-by-case basis and with the patient’s best interest in mind.